Breakfast is the most important, and best meal of the day, so make it count. Breakfast can be confusing – It’s hard to organise, it’s hard to dress for and it’s hard to pick a place that everyone agrees on. But we’ve taken all that difficult work out for you – just pick your friend type and get eating! Fast, fresh food in the convenient location of Castlereagh street makes Alpha the perfect choice for our suited-up friends. The ‘Strapatsada’ from the breakfast menu is made up of scrambled eggs, roast tomato saltsa, sheep’s milk feta and olives. It’s so filling, you won’t even need a lunch break. Try swapping your usual flat white for a Greek coffee, or Greek Mountain tea, for the full experience. For the self proclaimed coffee-connoisseurs, Paramount Coffee Project is a necessary pilgrimage. With its industrial-chic décor, this cafe serves up classic breakfast dishes with serious flair. For the adventurous, try the peanut butter jelly time sago with raspberry sago, fermented raspberries, candied peanuts and peanut milk ($12). When it comes to the drink menu, all tastebuds shall leave happy. Filter coffee, cold pressed juices and even a golden gaytime milkshake ($8.50). Shenkin is the perfect hub for our ‘professionals of the future’ aka, struggling students. Whilst you might not have the funds to go all out on brunch, what you lack in money, is made up for in time. Shenkin‘s well-loved avocado toast is a go-to. Smashed avocado served with artichoke hearts, and heirloom tomatoes with spicy coriander, shifka and za’atar is $15.50. Or, if you feel like going all-out, the Israeli Big Breakfast includes eggs your way, with labne, avocado, Israeli salad, smoked salmon and pita for $20. Don’t be off-put by the axe implanted into the wall. Salvage Coffee is the perfect place to soak in the sun as well as the weekly gossip. The menu is changed regularly in order to ensure their produce is fresh and in season. However you can always rely on their speciality coffee and amicable service from the lads in charge. Sunday brunch has never been so exotic! Try a Turkish food flight at Efendy full of rose jams, tahini-grape molasses, fresh fruits, gozleme, sujuk spicy sausages and assorted mezze plates, topped off with brimming pots full of apple tea. What better way to start your day? Partied too hard? Pull yourself out from under the covers and get yourself to Bloody Mary’s, where you can gently nurse your liver back into the world of semi-sobriety, or throw caution to the wind, and keep the party going. Go for an easy eat and get the bacon and eggs roll ($16), with streaky bacon, a poached egg, lettuce, tomato, house aioli and ketchup on a soft milk bun. OR, go greasy and tackle the Hangover Cure. It comes with Hunter Valley poached eggs, streaky bacon, mixed mushrooms, chicken chipolatas, chilli beans and Potato Hash for $27. Why stop there? Add on a Classic Bloody Mary for an extra $12. Yellow caters for your need to impress the in-laws. It’s just that little bit fancy. Enjoy a sleep in, as Yellow only opens for breakfast/brunch on weekends at the leisurely start time of 11am. Start with the toasted liquorice bread with homemade butter ($11). Then move on to the poached eggs with kohlrabi, vegetable broth and turnip greens ($21). All is well that ends well, so finish with the sheep’s milk yoghurt sorbet with blueberry and liquorice ($16). For more inspo, check out our full guide to wining and dining the in-laws here. Bookings taken, friendly staff and consistently delicious food. Good old Bills is consistently a safe choice to brunch with the folks. 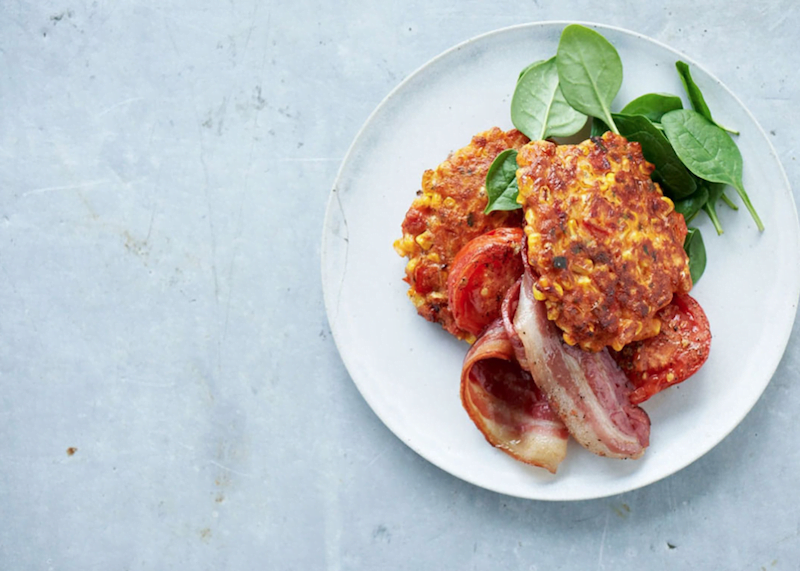 We love the sweet corn fritters with roast tomato, spinach and bacon ($23.50). Or, for the health-conscious, try the buckwheat bowl, filled with kefir, avocado, sprouting seeds, poached egg and rose harissa ($22.50). Their drinks list is stellar, with everything from fruity smoothies to breakfast martinis. There’s something for everyone at Coogee Pavilion. While the children play downstairs in the designated kids room, adults can choose from a range of great breakfast options. It’s one of those places where kids dishes can’t be distinguished from adult meals. And why would you need to, when the fare on offer is healthy and appealing across the board? The fried eggs ($16.5) with roasted spicy salsa, avocado and toasted tortilla is especially good. Or for simpler palates, the avocado toast ($16) with charred bread and smoked chilli flakes is a satisfying meal. Girdlers is an honest, simple establishment. They have a sustainable and ethical approach to food production, using locally-sourced produce from small-scale markets and growers. 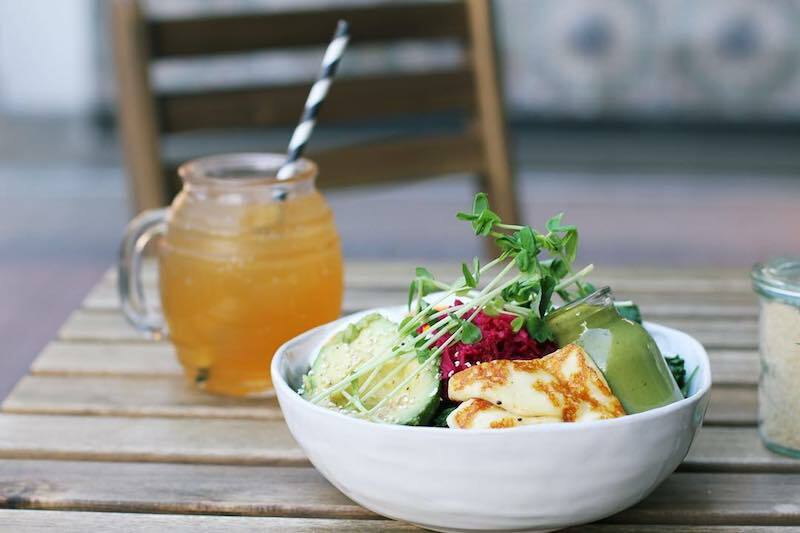 They use the freshest and most simple, wholesome ingredients to create a nutritious, tasty and almost completely gluten free menu . It’s delicious, and it’s good for you. Menus change seasonally, and they also offer a wide range of workshops which you can book into. Got a friend that’s always on the move? Never fear. Schedule them in for a run in the Bicentennial Reserve followed by a healthy meal at The Incinerator. We’re thinking the Acai Bowl with fresh mango & orange crumbs ($19). Show off our harbour views to your foreign friend and settle down with a cup of Sydney’s world famous coffee at Opera Bar. The smoked salmon and waffles ($19) with crème fraîche, pickles, and chive will fuel all your touristy activities. Get in quick though, breakfast is only served between 9 and 11am. Bored of staying in with your crazy cat lady friends? Head to Surry Hills and check out Catmosphere Space Cat Cafe. While there might not be a chance to eat at this futuristic furry attraction, you can compromise and toddle down the road to Le Monde Cafe. Fill up with the white veggie omelette ($15) with roasted pumpkin, cherry tomato, mushroom, Spanish onion, feta and toast. 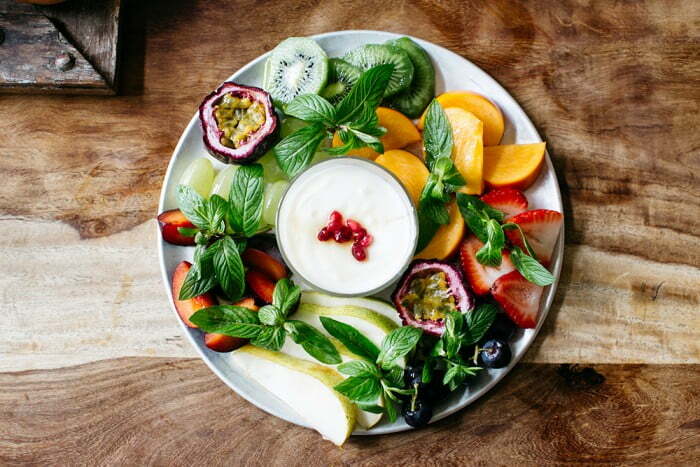 Like it or not, #foodporn is here to stay. And what better venue to please the insta-obsessed than The Grounds of Alexandria; that hanging garden of Babylon itself? From hanging with Kevin Bacon, the resident pig, to perusing the collection of flowers for sale, to lusting after their baked goods. The Grounds has endless ‘grammable options. 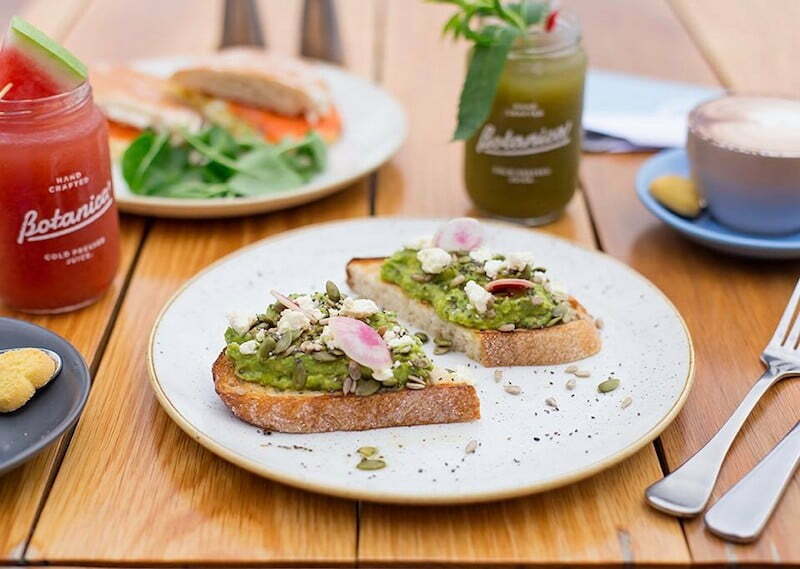 Their signature avocado dish, with heirloom tomato, coriander and basil salsa, chilli labne, tahini yoghurt, shankleesh (a middle eastern yoghurt), fresh lime and sesame seeds on The Grounds Sourdough toast ($19.5) is #amazing, and their coffee tasting board is #ingenious. #betterbelieveit. Earth to Table is the holy grail of vegan brunch, there are no two ways about it. The breakfast parfait ($12) has seasonal fruits and blueberries layered with GREENola and house made coconut cashew yoghurt. It’s sure to put a spring in your step with its source of probiotics, high fibre, and beauty boosting qualities. 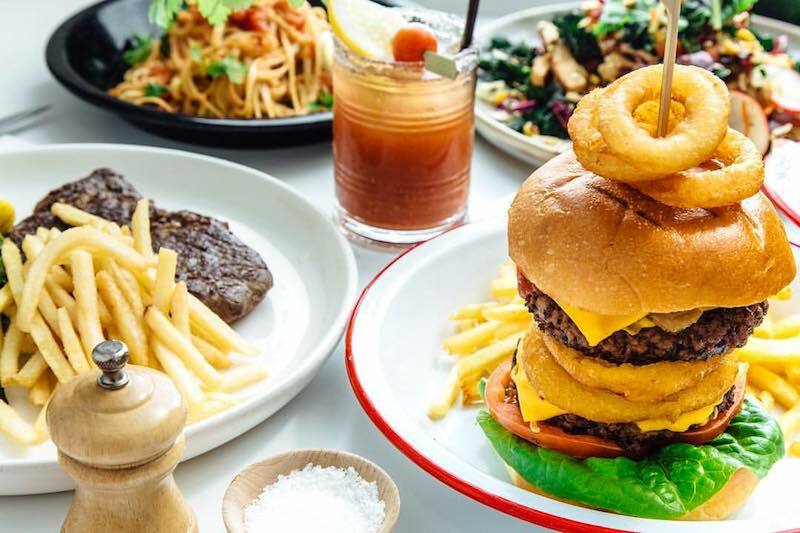 Bread and Circus takes the stereotype that vegetarian food is boring and drop-kicks it into the dense, vibrant collection of delights on their menu. The parmesan not-so-scrambled eggs ($22), include biodynamic eggs with fresh chilli or real truffle oil, under shaven parmesan with avocado, tomato, baby spinach, fresh herbs, and sourdough or basmati rice- yum! 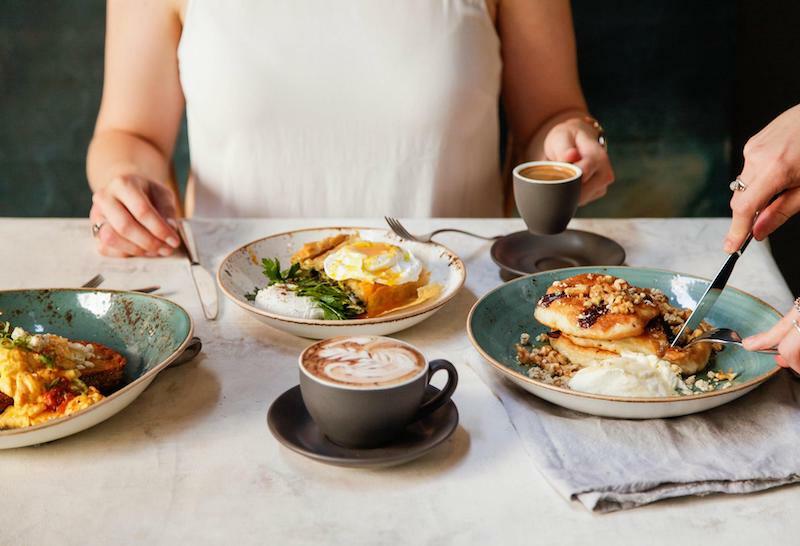 The trick to a good first date breakfast spot is somewhere that’s not too busy you can’t get a table and quiet enough to actually hear your date. The Nielsen in Vaucluse might not be easy to get to via public transport but it sure is pretty. In summer it’s perfect for a post-breakfast swim or walk along the foreshore. 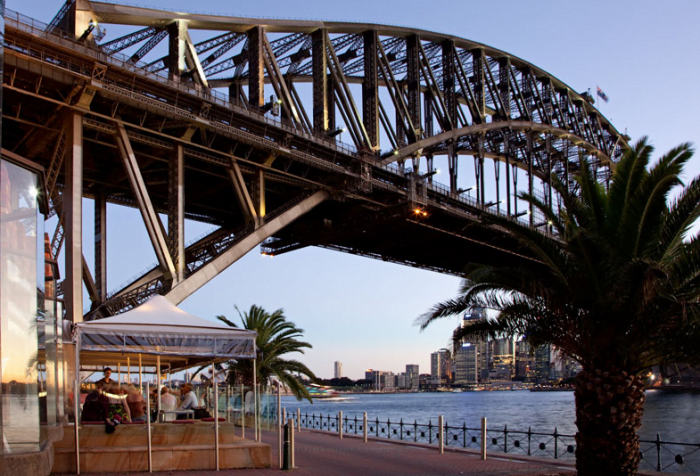 For a sweet brunch, and an even sweeter view, head along to Ripples at Milsons Point. No true sugar-fiend can resist their brioche french toast ($18) topped with chantilly crème, berry compote, cinnamon crumble, banana and strawberries. There are a range of healthier options, but this is the calorific pinnacle of Sydney’s sugary brunch offerings! If you and your girls are ladies who brunch, look no further than Three Blue Ducks. 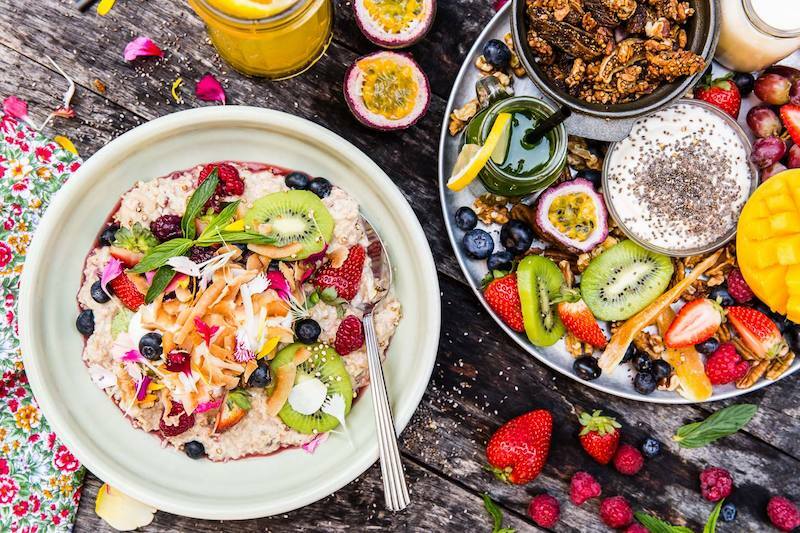 With a holistic approach to food, and quite a few of their fresh ingredients coming from their kitchen garden, they use biodynamic and organic products where possible. For a breakfast you won’t find anywhere else, try the black sausage ($23) with scrambled eggs, dill, cucumber yoghurt, redcurrant jam and sourdough toast. Their extensive drinks list is also available from 10am onwards – bring on the bubbles!